An equippable item, one of which can be obtained during the normal in-game progression. an also rarely be obtained from random item drops. 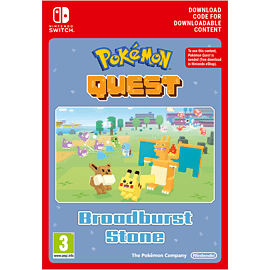 With this downloadable content, you will immediately receive on Broadburt Stone. You can attach this stone to a compatible move to make your Pokémon stronger!